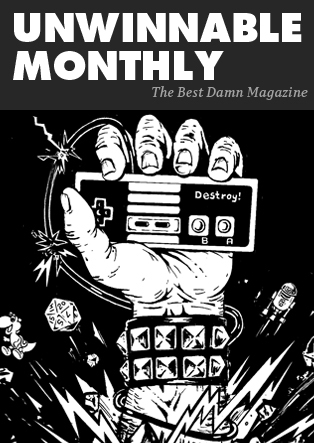 The following is a reprint from Unwinnable Weekly Issue Sixty Eight. If you enjoy what you read, please consider purchasing the issue or subscribing. The trailer for ADR1FT is quiet aside of the sound of the protagonist’s breathing, some a robotic voice repeatedly saying a survivor is detected and some curious electronic white noise. There is no ominous music. No dramatic narration. Just an astronaut floating through a facility that, it quickly becomes apparent, has suffered some sort of serious damage. Space, vast and deadly, populated by the broken wreckage of your space station. The body of an other astronaut drifts by, without moving. Despite the fact that the universe spreads out infinitely in all directions, the feeling is one of overwhelming isolation and claustrophobia, a survival horror game unlike any other. The goal: to somehow get home. 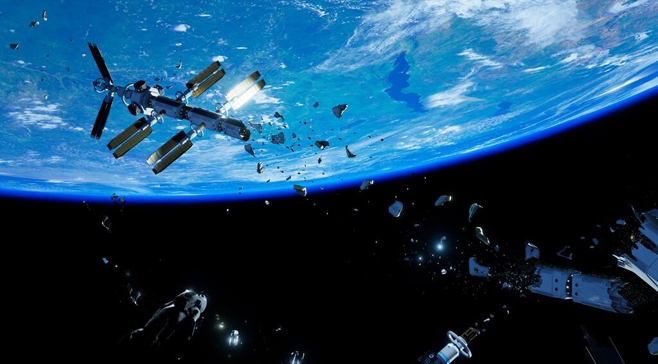 ADR1FT is the brainchild of Adam Orth, an industry vet of 18 years. Years as a QA tester in Los Angeles for the interactive divisions of various film studios eventually gave way to high-level design and creative positions at Sony Santa Monica, Electronic Arts Los Angeles, Lucasarts, PopCap and Microsoft. 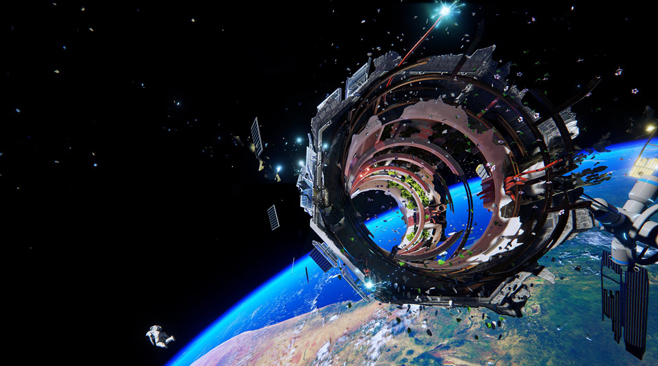 He is currently developing ADR1FT with his own studio, Three One Zero. Developed for virtual reality, ADR1FT will debut as a featured launch title for the Oculus Rift and a simultaneous Steam release in Q1 2016, with PlayStation 4 and Xbox One versions to follow shortly after. Adam was kind enough to take time out of his busy schedule to chat about his game and some of the challenges of its development. What’s the inspiration behind the ADR1FT? The main inspiration for ADR1FT comes from a traumatic experience I had on the internet in 2013. My life was deeply affected by this event and I wanted to make a personal game that touched on all the feelings and emotions I had during that time. I wanted to tackle a different type of game narrative, something that you don’t see or experience in a mainstream games. The situation behind the game is unpleasant – high risk, high anxiety that taps into a lot of natural phobias. Is it difficult to create a gauntlet like that? Or is it actually therapeutic? It wasn’t difficult to create the risk and anxiety. These are ideas that are built into all of us. Everyone understands the concept and high stakes of being stranded in space, despite never having experienced it. We had the tension very quickly in the development process. Very early on. The major challenge has been balancing that experience so that players feel the tension and are compelled to keep playing. Finding that sweet spot has been an ongoing process that we are still tweaking. What’s the most challenging thing about working on ADR1FT? Was ADR1FT always intended as a first person experience for virtual reality? Can you tell me about the idea behind FPX’s? 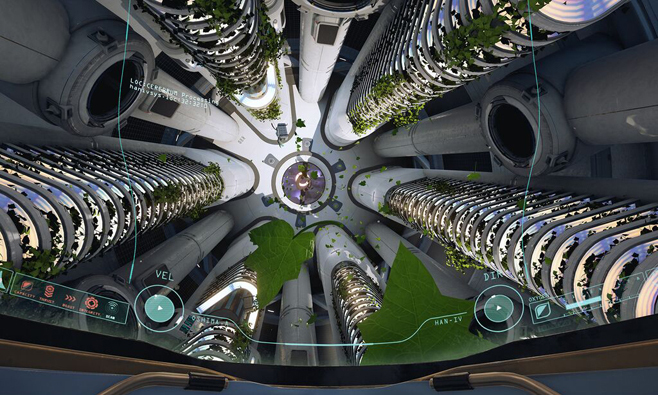 Yes, we built ADR1FT from the ground up as both an FPX and for VR. The idea around the FPX was to take our team expertise in first-person shooters and create immersive first-person experiences that weren’t centered around violence. As a team, we’d just had enough of making those types of games and as players we’d been gravitating to games that focused on the immersion but gave players something different. Personally, games like Proteus and The Stanley Parable showed me what was possible without a gun in your hand. It’s been super-challenging, but in a very good way. We’re going to keep making FPX games as long as we can. In playing other VR FPX games, I’ve found they can trick the body into physical responses for things that aren’t actually happening. Is that true of ADR1FT? We’ve been fortunate to be working with weightlessness/zero-g for VR. It’s perfect for the platform and it has been fun putting the player in these scenarios and watching the different types of responses we get. Some people definitely need a period of readjustment when they come out of our game and acclimate back into the real world, but they always leave satisfied and excited, so we’re very happy about that. Is it challenging to convey weightlessness in VR while, you know, obviously under the influence of gravity? Or is that something that doesn’t matter much once in the game? My partner and our Tech Director Omar Aziz is a gameplay engineering genius. He’s put a lot of work into how the player moves and feels in ADR1FT and he deserves a ton of credit. The foundation that he built at the beginning of the project has evolved quite a bit over the development cycle, but it’s been so exciting finding all of these new little areas to explore that have resulted in a fun and intuitive control system. Most players pick it up right away and start having fun with simply moving in zero-g. Broadly, how do you think VR is going to change games? And how do you think ADR1FT is going to contribute to that? I think in terms of having new tools and new ways to approach traditional game design, VR is incredibly exciting. We can put players in situations that we weren’t able to do a year ago. We can better access emotion via hardware. It’s incredible how energized the VR development community has become. Games have essentially been made the same way for a very long time. It’s great that we have new ways to express ourselves as creators and that’s great for games and players all around. It’s an incredibly exciting time. Why’d you chose UE4 to develop the game? We chose UE4 for ADR1FT for many reasons, but specifically it was for graphics, the Blueprint system and, most importantly, it’s ease of use among seasoned developers. We are a virtual company and we are able to hire talented developers from all over the world who can jump right in and start creating. Unreal has been used on so many great games over the years…it’s in the DNA of a large portion of our industry. Having access to these people and having UE4 in their hands paid off big-time for us. How is it developing VR in UE4? Does is pose or solve any particular challenges? 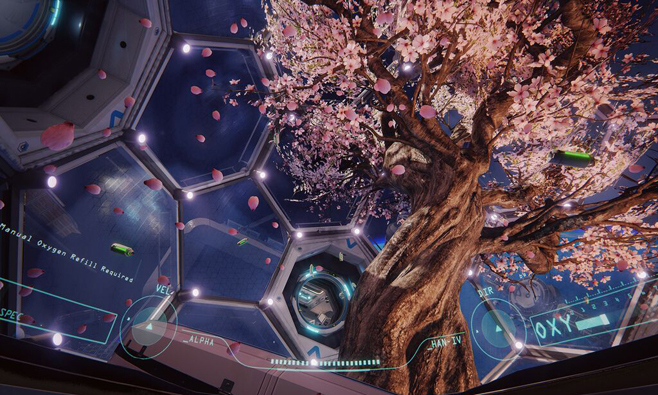 So far, developing ADR1FT VR in UE4 has been pretty great. We haven’t had too many issues. One of the things that’s challenging about developing in VR is that the platforms we are developing for are not consumer-ready or released yet. It can be very challenging to get a VR build up and running. UE4 takes some of the guess-work out off the process by being easy and dependable. VR just works great in the engine and it felt good to know that part of the chain is well-oiled and dependable. How did the Unreal Dev Grant come about? How has it changed things? There Unreal Dev Grant was incredibly helpful for us. As a small development team with caviar tastes and a Volkswagen budget, we need all the help we can get. At the time, we were coming up short for our audio mix. Audio in ADR1FT is incredibly important and we needed it to be great. Getting it was as simple as reaching out to our friends at Epic who have supported us tirelessly the whole way. They want us to succeed as much as we do and they were more than happy to help. It made the difference for us and we’re super-grateful for the love they’ve shown us. We hope people will be able to see what we were able to do with UE4 and get inspired to create their own magic.